We have been kindly allowed to display the E.NC17 archive catalogue on this site. These records can be consulted in person at Tyne and Wear Archives. 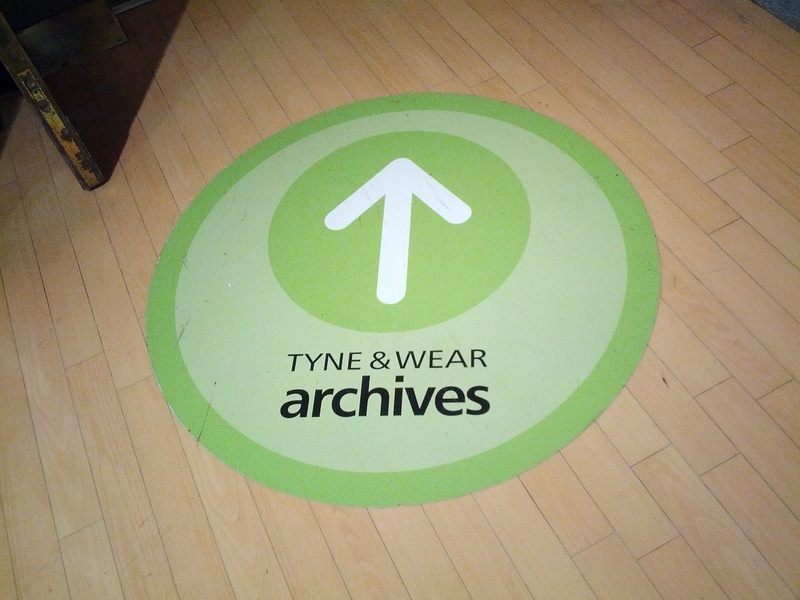 (www.twarchives.org.uk) Please note, all finding aids are © of Tyne and Wear Archives and Museums. I knew that Church High’s archive was deposited with Tyne & Wear Archives, but it took the merger for me to make my first visit there. There had been no need to up until that point, in fairness, and, if I’m honest, the prospect of actually getting to them felt a bit daunting. If you are anything like me, it always feels a lot more comfortable being able to visualise exactly where you are going – as well as exactly what is to be found there. So, thanks to the kindness of TWA, you can all now browse the entire catalogue up to July 2014 in the comfort of your own home via the website. Initially, I was just consulting the paper copy of the E.NC17 catalogue, housed in one of the maroon lever-arch files stacked along the Search Room shelves. 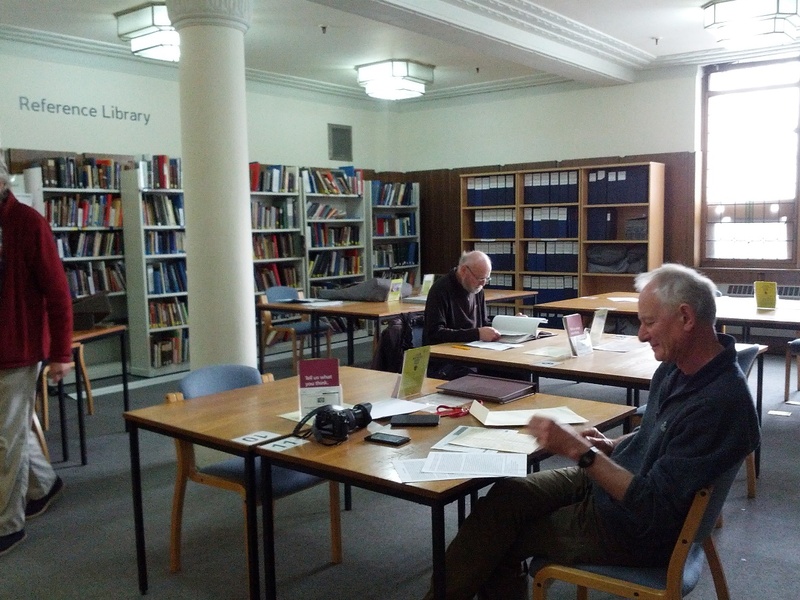 Visiting the Archive Collection is free and if you are going to use it more than once, they will happily make you up a Reader Card and allocate you a reader number. Everyone must sign in at Reception with their number and nothing can be taken into the Search Room other than a pencil and either some paper or a notebook. You are only allowed to ask for three items at a time and can only have one item at any one time at your reader desk, so it’s not a quick process. Providing you leave yourself enough time, it is fascinating though. Once you fill out your request slips (in pencil) and hand them over to one of the Search Room staff, you sit and wait. I usually spend this time browsing through the catalogue as I’m not good at sitting doing nothing. However, it’s a lovely old-fashioned room with a distinctive ‘old book’ smell, so it is no hardship just to imbibe the atmosphere. The reading tables are big because some of the building plans are large. You don’t have to wear gloves, but the ‘tools of the trade’ of an archive researcher lie all around you: little ‘elephant’ stools for reaching general local interest reference books on high shelves; grey foam triangles and cushions on which to rest the old books while reading; and long, thin weighty plastic ‘snakes’ to hold down pages. Sometimes you want to do more than make notes, of course, and so a photocopying service is available. This extends from normal black & white copies to large coloured plan prints. You have to order the latter and collect them at a later visit – or have them sent out to you. 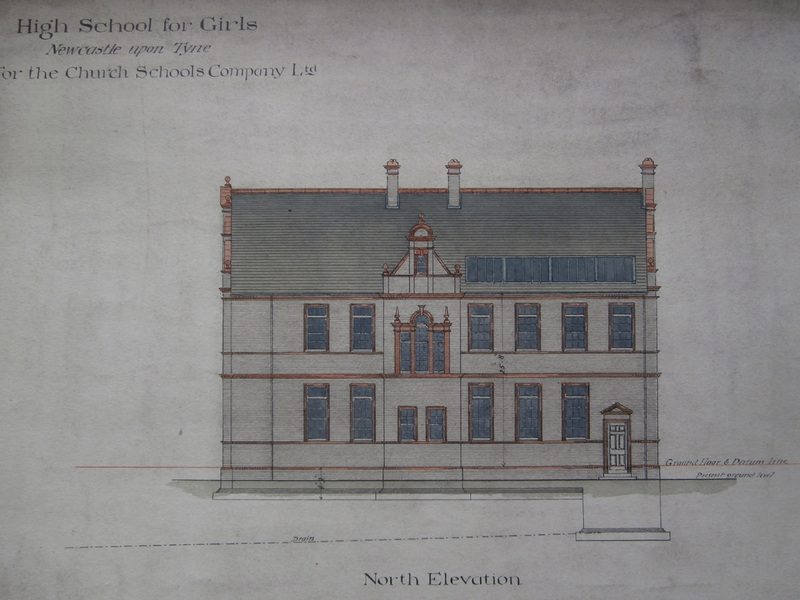 They aren’t cheap, but the original elevations of the School look fab. Alternately, you can pay £10.00 up front and take your own photos. No flash is allowed and neither can you put anything on the floor, which is where those little ‘elephant’ stools can come in very handy. If you know you will want to work from items at home, this is by far the most economical and helpful way to do research though. They can also scan images to disk in a digitised form too. A visit to the Archives is definitely a holiday job, if you work full time like me. 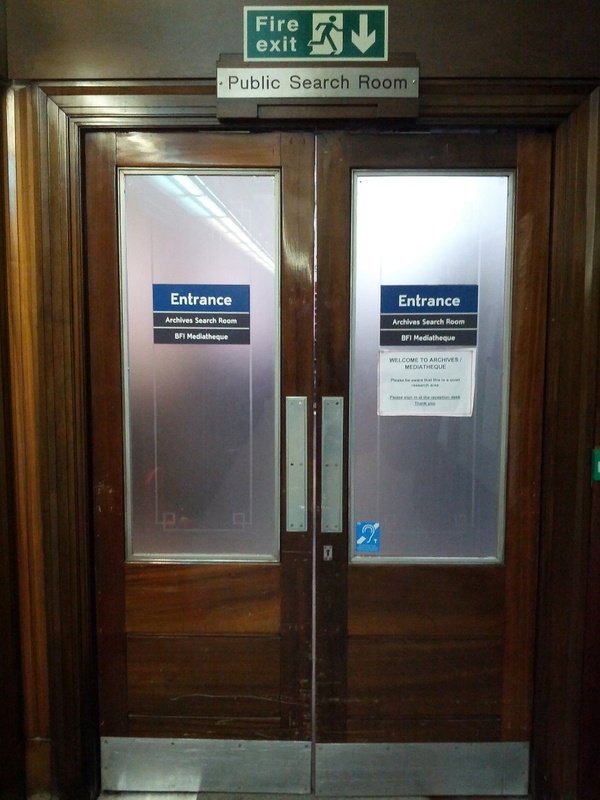 The Search Room is only open to the public from Tuesday to Friday and between 10.00am and 4.00pm. 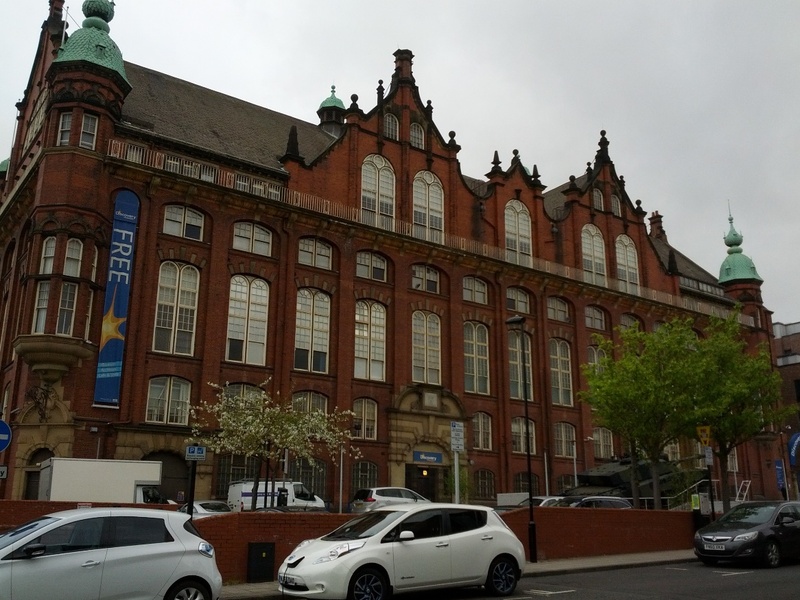 I recommend it though – not least of all because the building was also designed by Oliver & Leeson (now Oliver, Lesson and Wood) 10 years after Church High. 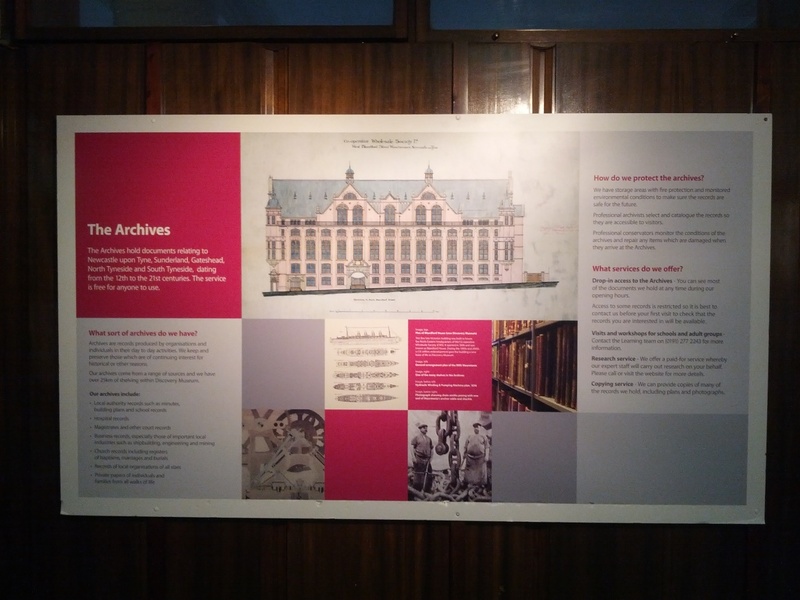 Perhaps the little photo-story below, which I created with a future post in mind the day I picked up some of the archival material to be digitised for the NHSG website, might be your incentive for a visit. 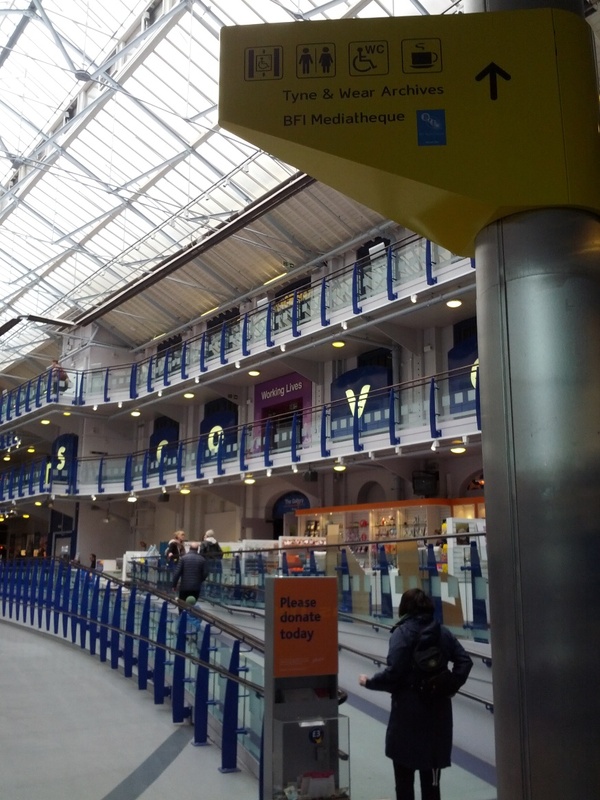 There are obvious similarities between the architectural design of The Discovery Museum (built as the Co-op distribution warehouse) and the original Newcastle High building. 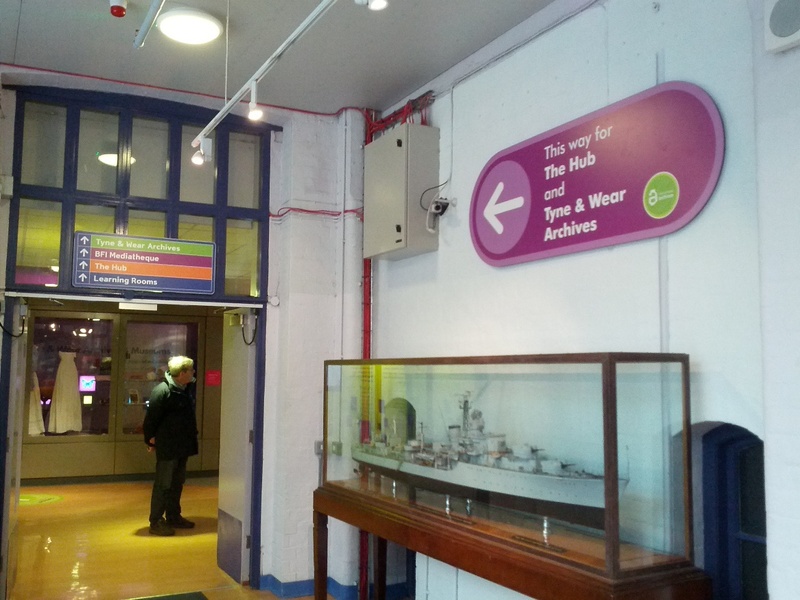 When you enter the Museum, signage to Tyne & Wear Archives is straight ahead of you. Once you’ve walked the whole length of Turbinia, turn left. 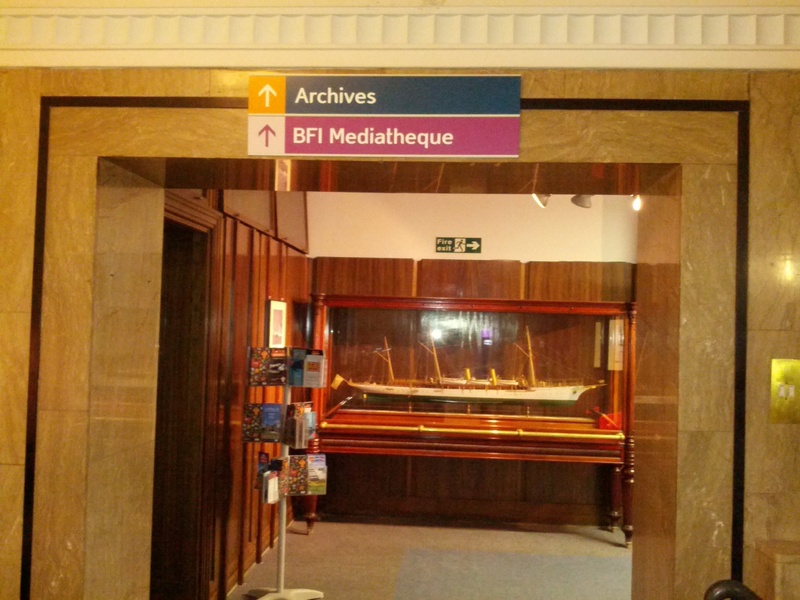 Through the doorway ahead of you, the Archives signage is clear – both on the wall to your left and on the floor below. Turn left and you’ll see a ship in a glass case ahead (above), then when you turn right a display board on the wall (below). 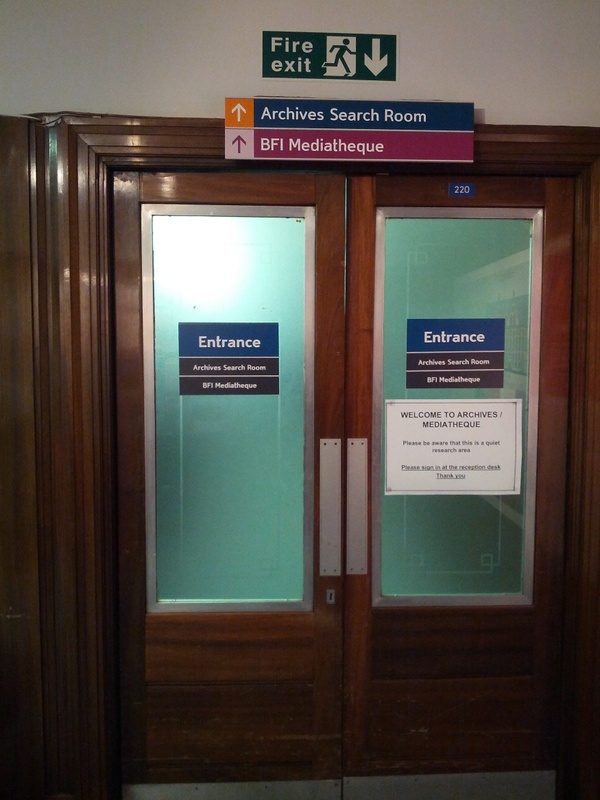 Immediately to your left is the first of two entrance doors to the Museum’s archive area. A marvellous corridor lies ahead with the 2nd door at its end. 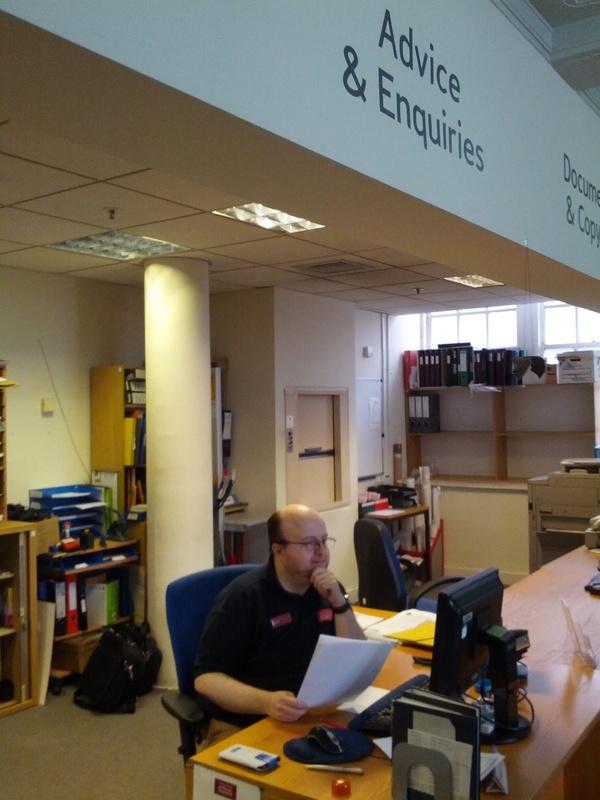 Through the door to your left you will see the Enquiries desk. Mark was processing search requests on the day I took these photos. Immediately to your right is the Search Room. My favourite spot is the table at the very back in front of the window. With the big window behind you, the light is ideal at this table for viewing larger archival items, such as Oliver & Leeson’s 1888 plan for Newcastle High School’s North Elevation. 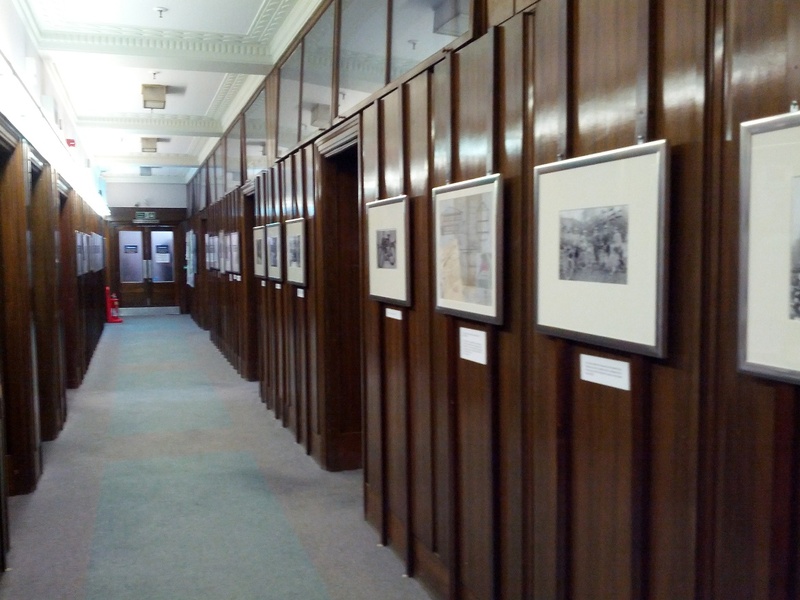 In addition to a wide-ranging, comprehensively-catalogued collection of printed materials dating from c 1890 to 2014, the archive also contains a large number of fascinating photographs, press cuttings and architectural plans charting the history of the School from the earliest days of Newcastle High School right up to the final year of Church High. Sadly, no photographs of the construction of the original building exist, but you may be interested to know that our archive does contain photocopies of all references to the School in the Church Schools’ Company’s minutes. This record of day-to-day correspondence between Newcastle and the company’s Council in London isn’t the easiest of reads owing to the age of the photocopies and a range of different hands, but it contains some fascinating insights. The page referring to GDST’s first attempt to buy the Tankerville Terrace site in particular. 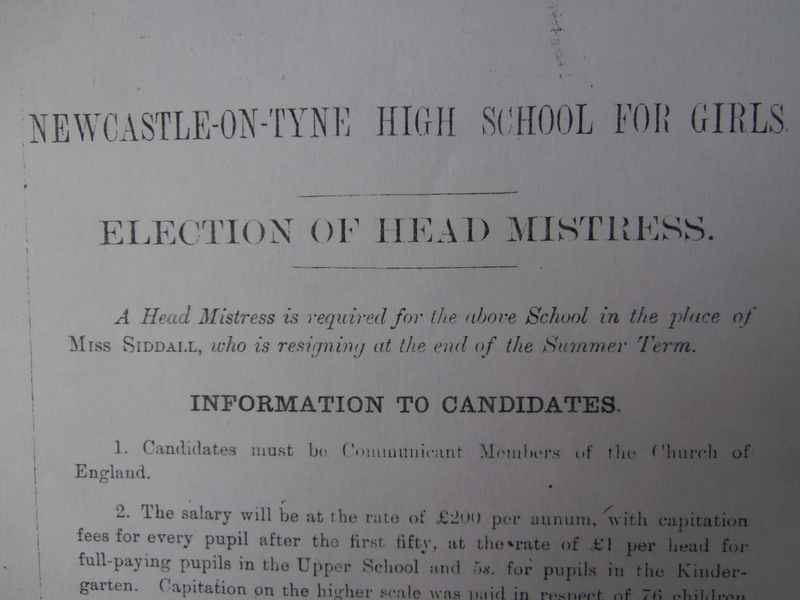 From these minutes, we can see it was agreed that the representative of GPDST who made the overture was to be told that “the Council had no intention of abandoning their School at Newcastle on Tyne.” Indeed, just a little while later in 1902 the Company were soon advertising for a new Headmistress to further establish Newcastle High School for Girls. The successful candidate would be Miss Gurney. Thrilling to see first-hand.